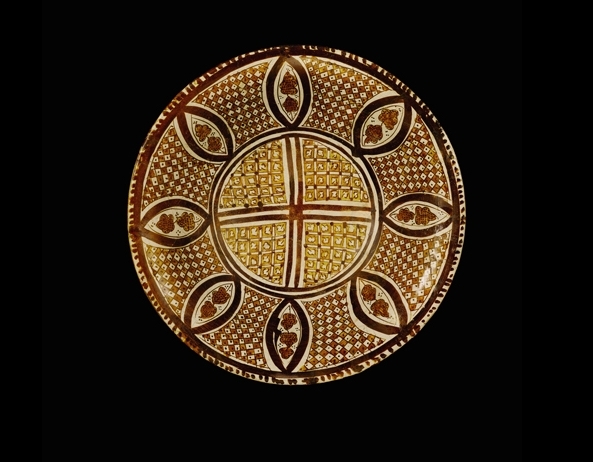 A large 9th century Abbasid lustre bowl with geometric and stylised vegetal decoration from Iraq. Estimate: £250,000-350,000. Photo: Sotheby's. Sotheby’s announced that the forthcoming Arts of the Islamic World Evening Auction will feature for sale 27 exquisite Islamic Ceramics from the Collection of Harvey B. Plotnick. Estimated at £2.6-3.6 million, the 27 pieces represent the first offering of a three-part-sale of the collection at Sotheby’s. The Evening auction, which also includes an assemblage of 17 rare and highly important works of Islamic Art sourced from collections across the globe, will take place on Tuesday, October 4, 2011 and carries a combined estimate of £9-13 million. The Arts of the Islamic World Day Sale will take place on Wednesday, October 5, 2011 and is expected to realise in excess of £9 million. • Part Three in October 2012. Doha is gaining a lot of ground for being an Art Center in the Middle East! They have purchased so much Art Work over the past 5 years!